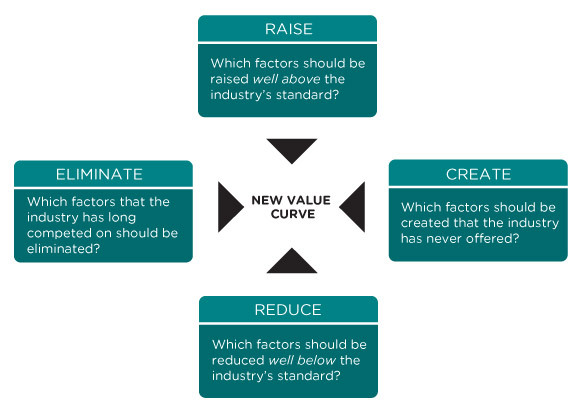 A simple tool used to help create value innovation, The Four Actions framework highlights that in order to achieve value innovation a product or service delivery must create value for the market whilst reducing / eliminating services less valued by current and future markets. This method is tool that forms the Blue Ocean Strategy. When we achieve value innovation we create the potential for leaps in value both for our customers and our business and make the competition irrelevant.